Hi Dave, I'm a year 11 student who wants to get into oscillator and audio amplifier circuits but most of the time I find myself stuck not knowing what's going on. Since I've never owned a scope, this would be very valuable. I hope the winner uses this scope with rigor whether they be male or female, black or white, or something in between. Was a fan of HP/Agilent scopes since 1999 and well a basic scope like this with logic analyzer will be really valuable if I want to try to be freelancer. If you see me running, that's already too late. Ha, let's give it a burl! My crusty old TDS-210 is way past it's sell-by date. I am in, I don't know exactly my posts so if I am not at 50 yet then... well I am not in... But I am in on youtube and patreon supporter so I have at least two so I wont cry if I am not at 50. Hi Dave, thanks for all the videos. My favourite was the one with the huge collection of bits and pieces. I don't have fifty posts yet but please consider me for the contest. I'll use the oscilloscope to continue learning and repairs as described in the forum. My Hameg HM 205-2 is full of fear! Oooh yes plzzz ... isn't that a 2 channel scope though ? When I die I want to die peacefully in my sleep like my Grandad ... Not all shouting and screaming like the passengers on his bus. Oh, and pretty sure this scope is 2Ch, maybe 2.5Ch if you include using the trigger as a 3rd digital-only channel. Yes thank you very much. Im an electronic engineering student in South Africa. A 350W PSU stripped from a PC, with 3.3, 5 and 12 V rails that i use to power various projects from tiny motors for a quad copter, to 12V fluid pumps for testing control algoritms on my arduino-on-a-breadboard. 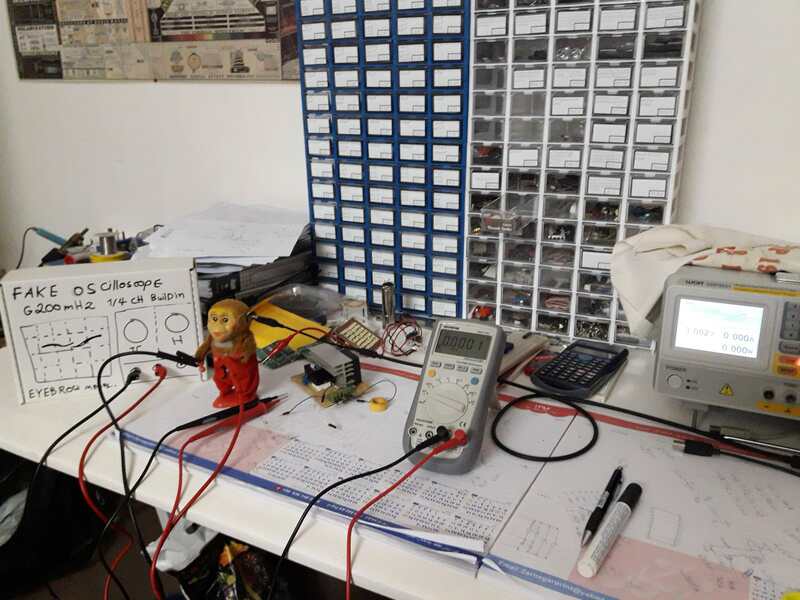 If I need to test PWM, oscillator frequency (sometimes easily above 1MHz for RF and piezoelectric systems), I have to take my setup and emulate it in the university lab which has old, single channel, CRT-style analog oscilloscopes. Having my own, capable scope would be great. A 3-CH scope is neat. And my avatar is the best. I want it to replace my old TDS220 with a modern low-end daily use scope. I'm still using this TDS220 as my goto standard for everyday use because of its simplicity and ease to use, but I'd like to replace it with a modern one. And I really don't want to replace it with one of these Chinese brand (Siglent, Rigol whatever) ones, because I don't like their design. And I'm keen on the internal function gen, in combination with the bode plot facility to run some tests on circuits that I've designed. My employer doesn't want to buy such new toys, so this is the only way for me to try to get my hands on one.